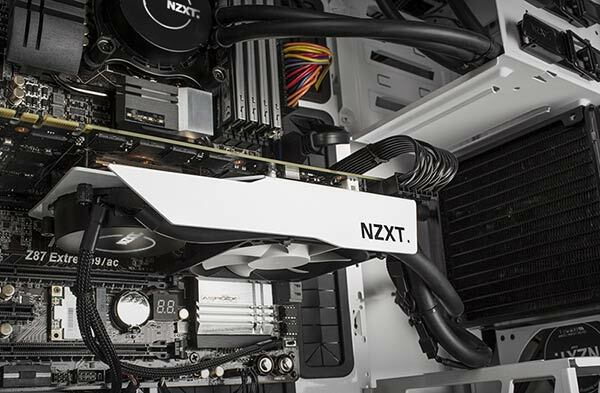 California based PC chassis and accessories producer NZXT has unveiled the Kraken G10, to aid in the application of liquid cooling to your GPU. 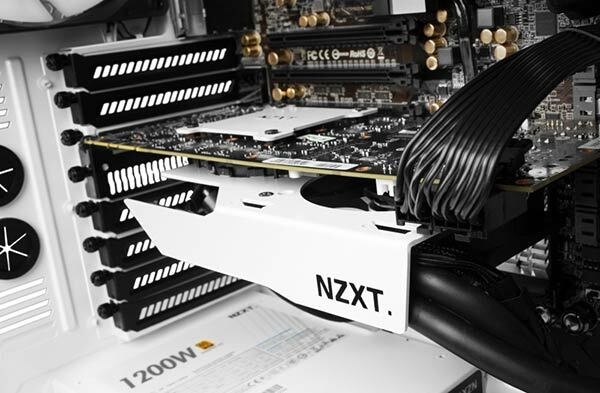 Nowadays it’s easy to purchase and install an off-the-shelf a liquid cooling setup for your CPU - NZXT are hoping that its Kraken G10 GPU bracket will bring a similar level of ease of installation and utility to people suffering from sweltering, noisy, air-cooled GPUs installed in their systems. The Kraken G10 is compatible with over 24 different AMD and Nvidia reference graphics cards and 19 different all-in-one liquid cooling solutions. 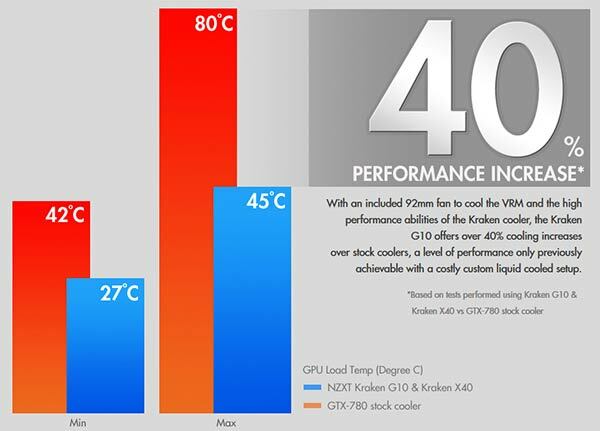 NZXT boasts that the use of the Kraken G10 can improve your cooling performance by over 40 per cent over stock coolers. An example of a setup utilising an Nvidia GTX 780 is displayed in the chart below. The bracket is intended to be easy to install with its universal mounting hardware design. NZXT has intelligently included points to rout and hide cabling to benefit your system air-flow. The Kraken G10 includes a 92mm fan which will provide supplementary cooling to the graphics card components not covered by your liquid cooler block. The compatibility list is based on AMD Radeon and NVIDIA's reference board layout only. 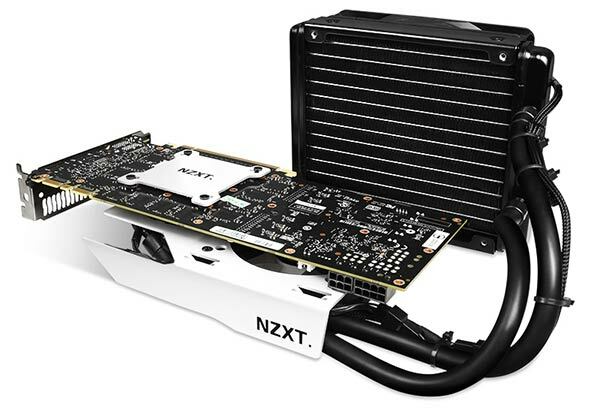 NZXT has missed a trick by not supplying a chart, similar to the one above for the Nvidia GTX 780, showing the cooling benefits and the noise reduction available to AMD Radeon R9 290 (X) users. It has been a common complaint that AMD’s standard cooler runs loud and hot so the Kraken G10 could be a nice match for these new Hawaii GCN architecture AMD GPUs. Available from 10th December via the NZXT Armoury Store, the Kraken G10 is priced at $29.99 in white, black or red livery. UK pricing and availability isn’t known at this time. Even if they just switch the $ for a £ that's a damn good price for an all-in-one watercooling setup for gpu's. I'll be getting a pair for my 6870's I think. Does this mean the GPU Boost will go higher because it will be able to improve performance even more before hitting 80degrees? looks good!better cooling for the best performance. Even if they just switch the $ for a £ that's a damn good price for an all-in-one watercooling setup for gpu's.